Though accountancy is as old as trade itself, the profession continues to grow and expand. CPAs are now found auditing IT departments, and they naturally make use of the latest technology when working in finance, or any other field. If you wish to join the elite community of accounting professionals who hold CPA licenses, you will need to undergo a rigorous path. Each state has its own standards for incoming CPA licensees, and New Mexico is no different. Keep reading to learn how to become a CPA in New Mexico. The largest, and most time-consuming, aspect of your journey to become a CPA is your education. New Mexico has unique standards for your undergraduate and post-grad work. Naturally, you will need a minimum of a bachelor's degree to proceed. In fact, you need 150 semester hours to attain your license, though the Board allows you to start sitting for your CPA examination after you complete enough for a baccalaureate degree – 120 semester hours. 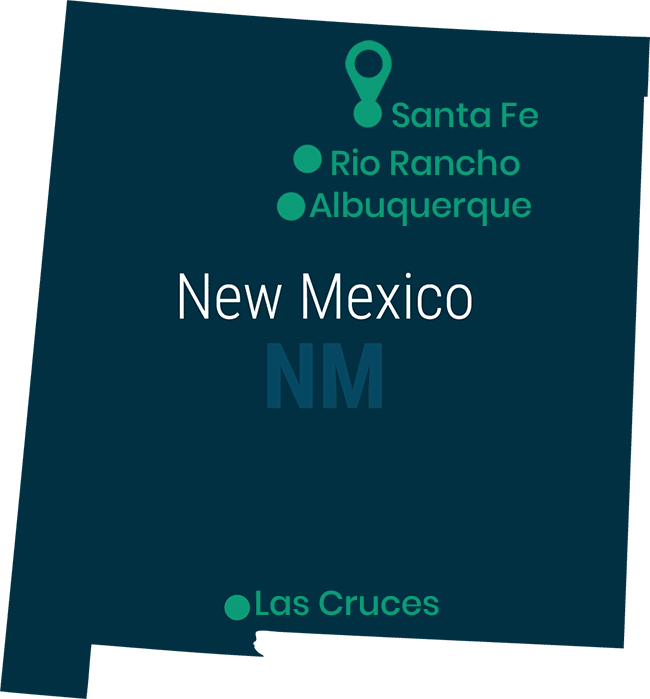 New Mexico isn't far afield from other states in their required credits or courses, but they do differ in one area: academic context. That is, they insist that at least 15 hours of your education be taken in-person and/or on a campus. The Board will recognize pass/fail courses, CLEP, and community college work provided that the institutions were appropriately accredited. Though you might wish to take one or more CPA examination preparation courses, the Board does not recognize commercial courses of this sort. However, if you take a preparation course through an accredited institution, and the course is not redundant on your transcript, you may count those credits toward your licensure requirements. Since you will need a total of 150 semester hours to apply for your licensure, consider your first 120 hours carefully. You might choose a different major altogether and then finish off your requirements with 30 hours in accounting and/or business. You could also consider completing your requirements in graduate school. If your college or university is accredited by some other institution, ask your academic adviser if your work will satisfy the New Mexico Board. Some business departments have been accredited by subject-specific agencies and the Board will likely recognize them. To complete the rest of your application, visit the CPAES website. There, you can submit your application and pay all of your fees via a secured credit card transaction. This portion is comprised of 62 multiple-choice questions, 4 simulations, and 3 written items. Your knowledge of financial reporting, taxes, audits, and attest will be put to the test. You will also need to demonstrate a high level of verbal ability. When you sit for the FAR portion, you will face 66 multiple-choice questions and 8 simulations. You will be tested on your knowledge of several reporting standards, including the SEC. This exam is composed of 76 multiple-choice questions and 8 task-based simulations. Here, your ethical, professional, and legal responsibilities will be put to the test. The test covers federal and state laws, as well as the AICPA Code of Professional Conduct. This four hour test is comprised of: 72 multiple-choice questions and 8 task-based simulations. You will need thorough knowledge of the International Accounting Standards as well as auditing standards in the United States. You will also need to have a firm grasp on auditing standards for government agencies, non-profits, publicly held corporations, and private industry. Remember to demonstrate your ethical values during this exam. The New Mexico Board requires one full year of accounting experience under the supervision of a licensed CPA. You can complete your work experience in government, industry, academia, or public practice. Accounting-related software programming and development. A prerequisite for the experience portion of your CPA license application is the ethics exam. This is a take-home exam that is offered by the AICPA. It's a necessary part of the licensure process and your future employers will appreciate that you have completed it. You may order the test from the AICPA or from the New Mexico Society of CPAs. The NMSCPA offers the independent-study course in two formats: text and electronic. The electronic version costs $20 less and is accessible within 24 hours of payment. You'll have to wait for the paper version. Note that all standard web browsers except for Internet Explorer support the electronic version. The four basic components of a successful licensure application in New Mexico are: education, experience, examination, and ethics. You should hold a bachelor's degree with a major concentration in accounting and a total of 150 semester hours of college or graduate work. Included in your official transcripts the Board will look for a minimum of 30 semester hours of coursework in accounting or business. Your experience should be one full year under the supervision of a licensed CPA in either private industry, public accounting, government, or academia. Upon completion of the experiential portion, you must submit a Work Verification Form that you can receive from the Board. To become a CPA, you will need to pass all four parts of the Uniform CPA Examination as given by the AICPA. You will take all four parts at a Prometric site at your convenience. Note that once you pass one part, you must pass the other three exams within 18 months. New Mexico also requires that you pass an ethics exam. You can purchase the materials for this course and test through the NMSCPA, a state association of CPAs. This test should be taken prior to embarking on the experiential portion of the process. You must also complete 4 hours studying ethics and the remaining 20 hours should be spent in relevant seminars or courses. Note that 50 minutes is equivalent to an hour's worth of CPEs. Appropriate courses can be found through accredited colleges or universities, the AICPA, NMSCPA, or other professional organizations. You can complete many hours while attending accounting conferences.